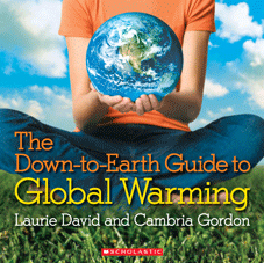 Will Media Report Error in Laurie David's Global Warming Children’s Book? When climate change activists Sheryl Crow and Laurie David went on their "Stop Global Warming College Tour" last spring, media sycophants followed their every move reporting their exploits on almost a daily basis. With that in mind, if a serious, scientific error were discovered in the global warming children's book co-authored by David, shouldn't that be newsworthy as well? On page 18 of Laurie David's new children's global warming book, there is a glaring scientific error. What really makes their graph "amazing" is that it's dead wrong. In order to contrive a visual representation for their false central claim that CO2 controls temperature change, David and co-author Cambria Gordon present unsuspecting children with an altered temperature and CO2 graph that falsely reverses the relationship found in the scientific literature. Will media hold David's feet to the fire concerning this factual misrepresentation?